*VOLUME PRICE DISCOUNTS on 6 or more 120 count bottles! 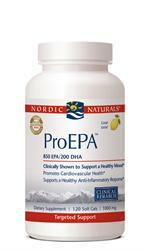 * Pro-EPA provides the optimum amount of omega-3 fatty acids eicosapentaenoic acid (EPA) and docosahexanoic acid (DHA) use to help reduce inflammation. *VOLUME PRICE DISCOUNTS on 6 or more 120 count bottles! 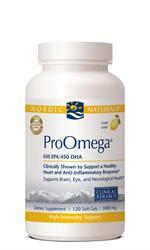 * High Concentration Balanced EPA/DHA Combination in a Capsule Form Like the ProOmega liquid the capsule form is a balanced dose of EPA and DHA, the two main components of Omega-3 from fish oil.